Anna P.S. performing at The Coffee Pot in Greenville on May 12. Photo by David Nilsen. 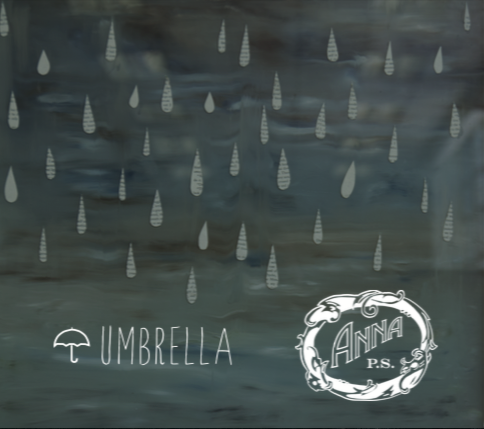 So begins the title track on Umbrella, the debut album by musician Anna P.S., and those words convey the weariness that weaves its way throughout the album’s simple but resonant songs. It’s a weariness that keeps a blanket of hope tucked up under its chin, even as the rain keeps falling outside the windows. Grace always lurks around the corner on these tracks that layer delicate vulnerability over the hearty stock of this songwriter’s spirit. 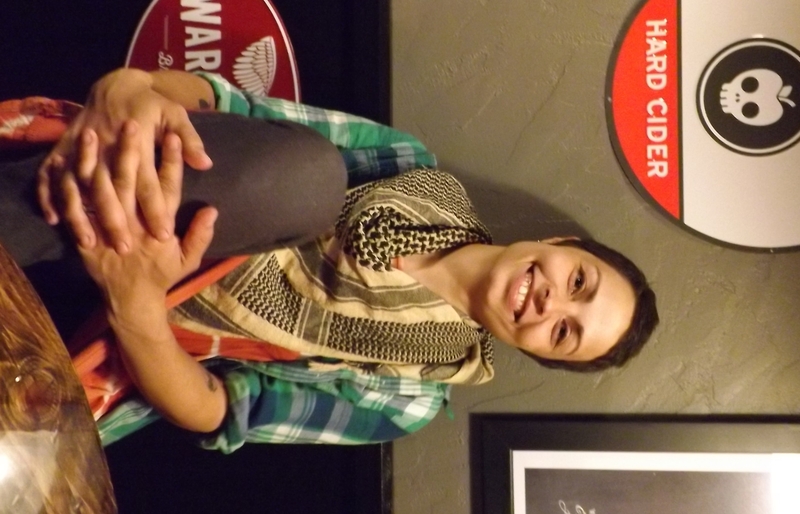 Anna has had the chance to begin making those connections more over the last year since she quit her previous job and began her journey as a full-time musician. After spending years as a sound engineer, Anna wanted to spend more time playing her own music for live audiences. A few years ago, she spent time in the band Shiny Shiny Black before making her first forays as a solo artist. “They gently kicked me out of the nest,” Anna says when talking about her former bandmates, “They told me, ‘You need to work on your own music, and you’re not doing it, because you’re taking all this time with us.’ It was the most loving and good thing they could have done.” She’s been writing and performing as Anna P.S. for three years now. In concert, Anna plays acoustic guitar and—unexpectedly—the flute. She uses a looper pedal to sample her own guitar and loop it back while she plays flute interludes during her songs, bringing a unique element to her concerts. At some point, she hopes to add another vocal mic that will allow her to loop the flute as well. “Everything needs flute and foot percussion,” she laughs. The flute wasn’t always Anna’s favorite instrument, but she stuck with it after picking it up in the fifth grade. Her parents made her and her siblings take up both the piano and a band instrument in grade school, and paid for lessons. If the kids worked hard enough, their parents would buy them better instruments. Whether or not she always enjoyed the work at the time, those years of instruction and practice provided Anna with the classical training that would form the foundation for what she’s doing now. Anna P.S. hanging out at The Merchant House in Greenville after her May 12 show. Photo by David Nilsen. Finding “that”—community, home—has been a journey that has brought both discouragement and hope to Anna and her husband, Jonah, whose parents live here in Greenville. After years of both frustration and possibility in northern Indiana, the couple bought land in rural Michigan, and have set about establishing a life they can sustain, and one that can sustain them. They’ve planted fruit trees and built a small greenhouse, and they’re hoping soon to raise animals on their land and perhaps even sell produce at local farmer’s markets. When they bought the tract, it didn’t even have electricity or running water, and their first project was to dig the road that would lead to the small house they now live in. While Anna was away for a short time last Fall, Jonah built her a small studio among their trees. They dug a well and installed solar power. The hard work and reward of taming this wild space into a home is an apt metaphor for these last few years that have instilled Anna’s current musical efforts with their distinct mix of weariness and hope. 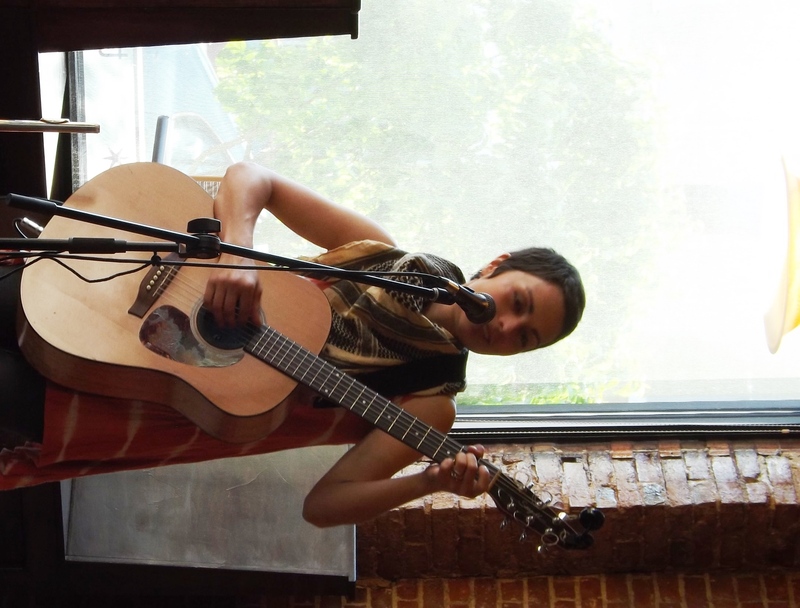 During her Friday night show in Greenville, Anna interspersed her own songs with an eclectic list of covers, including tunes by The Beatles, Simon & Garfunkle, Corinne Bailey Rae, and Ohio songwriters Over the Rhine. On stage, she had an easy rapport with her small crowd, and her earnest songs—delivered with her gentle but unyielding voice, simple guitar parts, and lilting flute—felt like the perfect soundtrack for the early Spring evening as sunlight faded behind the downtown buildings. As any artist can attest, that’s not easy, no matter how simple you try to make the life your art is hopefully supporting. When asked about her plans for growing her musical career, Anna smiled warmly but sighed a bit before responding. “Keep chipping away,” she offered. The song “Free” on Umbrella starts out, “I want to be with the sun and the green, and the wild things beneath my feet.” After a few drenching years, Anna and her husband are ready to put away the umbrellas. Either way, they’ll keep searching for community, whether at their Michigan homestead or on the road as Anna tours, and Anna will keep translating life’s ups and downs into songs that help her listeners feel less alone. You can visit Anna at her website, her Facebook page, or her Youtube channel. Anna P.S. will be performing in at The Spirited Goat in Yellow Springs, Ohio, on August 4. Be sure to follow her website and Facebook to find out about other upcoming shows in our area!